I'm a level 3 coach and have been coaching for over 18 years. My best work has been with juniors over that time having helped many achieve county, regional and even national honours. I've also worked with some of the best players in the world over the years. Favourite Player: That's tough but I loved watching Peter Nicol and Jonathan Power. Current favourite would be Amr Shabana. Hobbies: Football, running, circuit training and being with my family. My Greatest Achievement: Helping people to enjoy and love the game and most of all achieve. I started coaching in South Africa in 1977 at the Wanderers club in Johannesburg. So this is now my 44th year of honing my skills, currently a Level 4 coach. At the same time I was playing on the PSA circuit and held a consistent World ranking of 30 until giving this up aged 30. (Passed it by then). Highest ranked player win was over Roland Watson, the World number 6, but beat a number of top 20 players during those years. England Squash employed me as regional coach in 1985 and when the lottery funding first came in I held a position of “High performance coach”, and worked for ESR for over 18 years. My favourite player is Amr Shabana, now, but was Geoff Hunt in my time. My favourite shot was the backhand cross-court nick I hit to beat Roland above. I now don’t coach doing this, at match ball in an important match. Amazing Fact: The word "queue" is the only word in the English language that is still pronounced the same way when the last four letters are removed. Quote: You can feel sore tomorrow or you can feel sorry tomorrow. You choose. 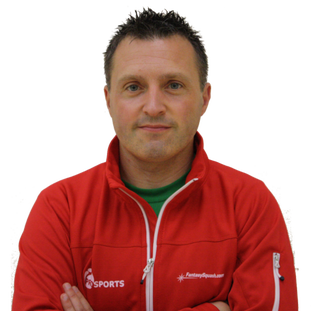 Let introduce myself as your new Head Squash Coach and Squash Professional. I’m very excited to be back working and training in Nottingham. For those of you who don’t know me I was born in Nottingham and developed my squash through the junior program at NSRC which enabled me to reach junior career high of #3 in Europe. I turned professional at the age of 20. Since then I have won 1 PSA World Tour title and made 13 PSA World Tour finals. I became a double bronze medallist while representing Jamaica in the 2014 Caribbean and Central American Games and I’m currently ranked #2 in the Caribbean. Over the past 5 years I’ve been living and working in America as assistant squash coach at Yale University. During this time, I coached the Yale men’s team to becoming Ivy League and US College National Champion’s in 2015, something the team hadn’t achieved for over 25 years. ​Now I’m back in Nottingham I will be splitting my time between club pro/coach at NSRC and assistant coach to Richard O’Connor at University of Nottingham. In addition to this I will be working with Nottingham County Squash to develop the junior program in the area.